Information about pregnancy and baby. ePregnancy is a comprehensive site dedicated to pregnancy issues. American College of Obstetricians and Gynecologists (ACOG) was formed in 1951 and has a membership of over 37,000 physicians specializing in obstetric-gynecological care. 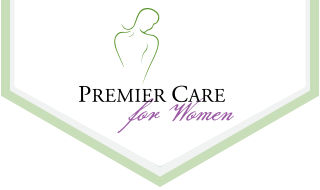 Although some of the information at this site is available only to member physicians, it also contains valuable information for the general public about current healthcare issues affecting women. The Gynecologic Health Center provides women with comprehensive resources for learning about gynecologic issues, including menstrual disorders, endometriosis, reproductive system cancers, STD’s and others. HealthGate is a web site offering a variety of information on health care issues. Fitnessonline offers news, information and a fitness cybermall at this site. The site is geared to everyday folks – as opposed to fitness professionals – who are looking for an interactive guide to health and fitness. Empower Health Corp. was co-founded by former U.S. Surgeon General C. Everett Koop, MD and Nancy Snyderman, MD. This site provides personal health information, news, e-commerce, community and other interactive services. OnHealth provides a wide range of health and wellness information for the consumer. Featured offerings include detailed content on a number of health-related topics and conditions. Parentsplace is a fun site with plenty of general information. Femalehealthlinks is a site devoted to providing links to other sites for general information. There are a variety of topics that can be explored here. U.S. Health & Human Services Department. Plenty of general health information geared for women. Mayo Foundation for Medical Education & Research. A great overall research site. A nonprofit made up of voluntary health agencies, professional associations and medical nonprofits and businesses. Harvard Center for Cancer Prevention. Helpful online questionnaires for a quick assessment of their risk for diabetes, heart disease and various cancers.